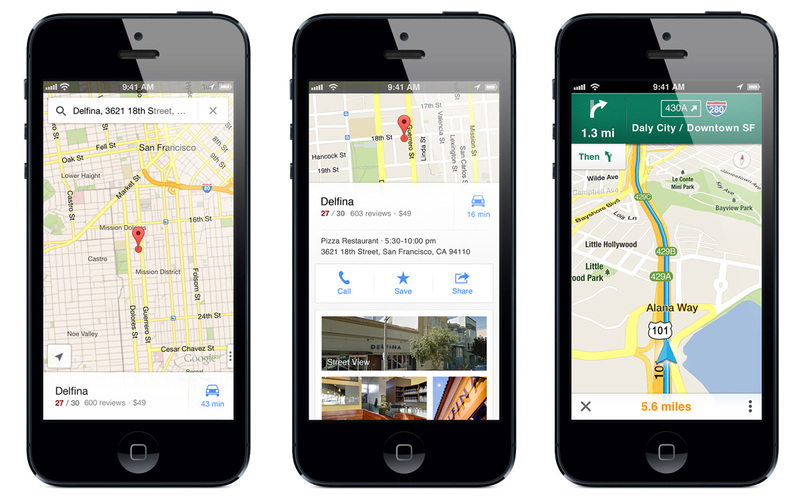 For all you iPhone users out there who got screwed over by Apple not getting along with Google and building a junkie maps app you can now be happy again Google has released Google Maps for iPhone today! This build includes the fast loading vector-based maps that are smooth and can be rotated just like on Android or the web. There is also turn-by-turn navigation, live traffic, public transit information, and Street View. They also added information about businesses including phone numbers, photos, and reviews. Posted on December 13, 2012, in Android, Apple, Apps, Archive, Google, iOS, iPhone and tagged App Store, Apple, CEO Tim Cook, Google, Google Maps, IOS, iPhone, iPod, Maps app, SDK, Street, traffic, Turn-by-turn navigation. Bookmark the permalink. Leave a Comment.